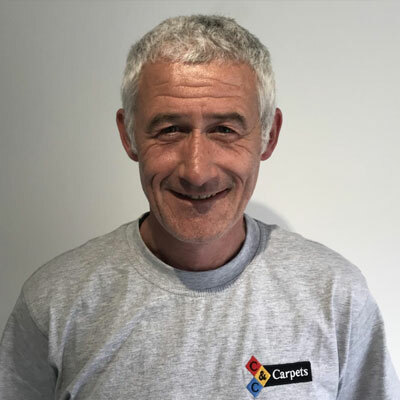 Carpet and Flooring Fitters | Meet The Team | C & C Carpets (UK) Ltd.
Meet the Team at C & C Carpets (UK) Ltd.
We have a family team made up of the best carpet and flooring fitters in the business. C & C Carpets (UK) Ltd. has a reputation for giving a fantastic fitting result second to none. Meet the team who makes up our staff of individuals who provide quality service, excellent fitting and the best after sale care available. I started in the trade back in 1972 where as an apprentice carpet fitter I learnt the art of fitting. A lot has changed since then but one thing I insist must never change is the fitting standard I was taught and continue to instil on our team. My two sons James & Guy joined the family business and from a very early age were taught the trade & to work to my high standards.  Both have excelled and are helping to build upon the reputation I set for C & C. I’ve always said I’m a carpet fitter, not a salesman however with my years of experience I know what fits well, where its best suited and feel I’m well positioned to help my customers choose the right flooring for where its needed saving them time, money and the stress of getting it wrong. From before we had the shop (and Children!) 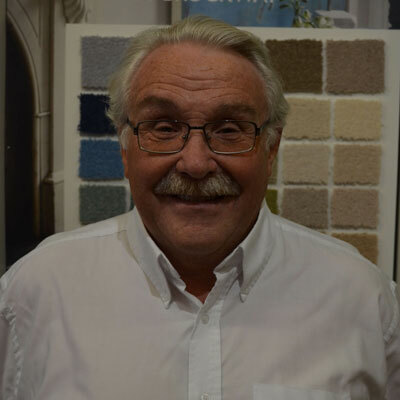 I would accompany Martin on his fitting jobs to help him and in doing so meeting lots of his customers, this meant that in 1981 when we opened our shop in Fore Street, Wellington I already knew a good deal about flooring and how Martin went about the fitting. 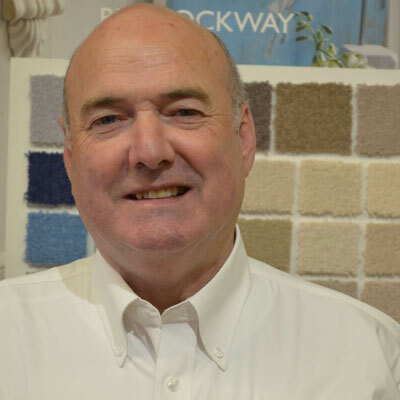 My role within the business now is in the shop helping our customers to find the perfect flooring. 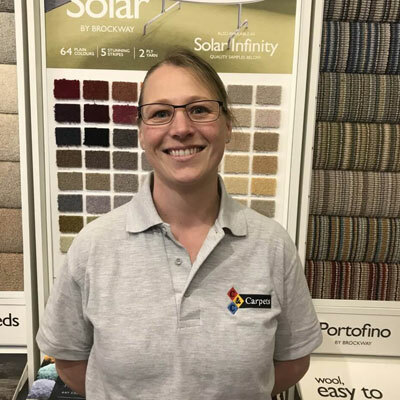 I love my trade, from meeting customers in the shop, doing measures and estimates, being out fitting the flooring and overseeing the running of the business I can be involved in every aspect of the work. For me it’s very important that the business keeps the same feel I remember it having growing up in my parents shop, a very relaxed and friendly place, lots of choice and a very personal service. 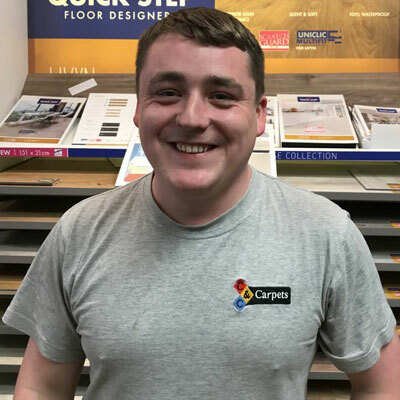 I served my apprenticeship with my father where he not only taught me how to fit but all aspects of the business, within the team I’m known as a bit of a flooring “Geek” which I take as a complement as I always want to know more and read up on new developments and technical aspects of the trade. I am a senior member of the fitting team experienced in fitting carpets, vinyl’s and luxury Vinyl Tiles. I started in the trade from a very early age learning the art of fitting. For me it’s all in the preparation work, it doesn’t matter how good a fitter you are if the prep work is not spot on you can’t get the finish, for me the job has to be perfect, I take a lot of pride in my work and that is not something I’m prepared to compromise on, and that is why I believe customers keep coming back. My main role within the team is to run the advertising and the social media management. I also help with the administration in the office. I joined C & C in 2016 as part of the shop staff bringing with me a wealth of experience within and around the trade. 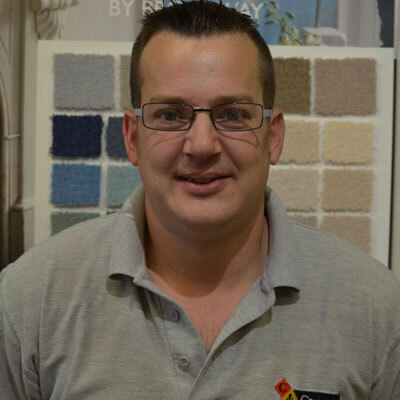 I am usually the first person to greet you when you arrive and my role is to help you find the perfect flooring you are looking for and if you just want to browse then I can point you in the right direction of where to look to save you time. I remain in contact with you throughout the process of your job so you always know who to talk to if you have any questions. My role within the team is to do the measures, estimates & serving in the shop. 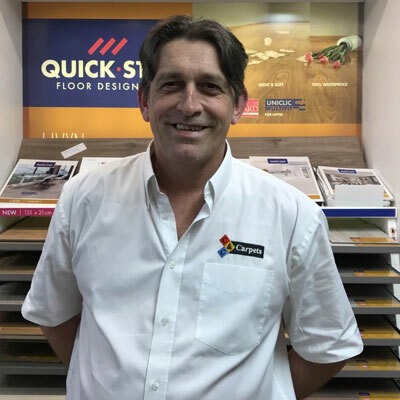 I help guide you in choosing the right product for the area you are looking to have covered and my skills with measuring and estimating help to ensure any potential issues with a floor or instillation are spotted prior to a fitting date so your job can run as smoothly as possible. With thorough measuring and planning I make sure there’s the least amount of waste possible thus saving you money. 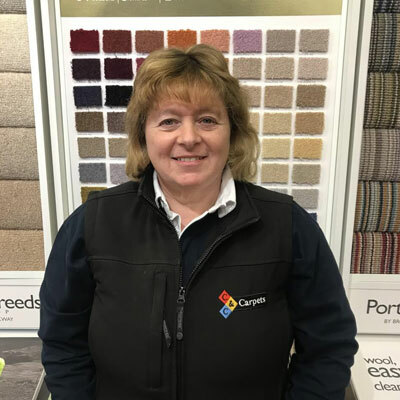 I joined C & C Carpets 5 years ago after years of being a self-employed flooring fitter, I worked for several other companies before joining this very friendly, family run company. 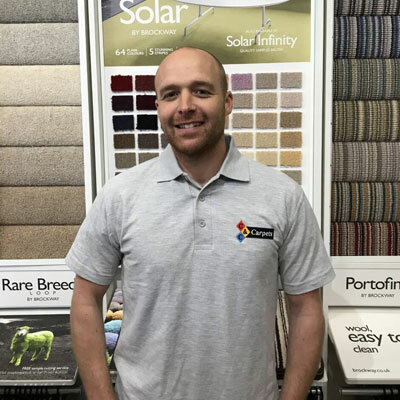 I am an experienced fitter of carpets, vinyl’s, LVT’s, Wood and laminate flooring and I enjoy all areas of the work from being out measuring through to being part of the team installing the finished flooring. 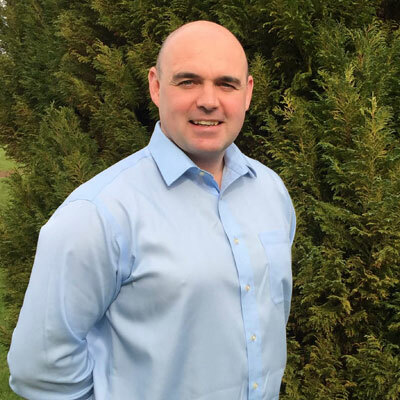 I have been a fitter for over 16 years now and worked all over the UK and as far afield as New Zealand. I have been involved in some very prestigious jobs including fitting flooring at Downing Street. I specialise in fitting carpets and sheet vinyl flooring including all sub-floor and preparation work. I have also fitted flooring for TV shows such as DIY SOS & House Doctor. I started with C & C age 14 as a Saturday boy and upon leaving school started full time as a trainee fitter. 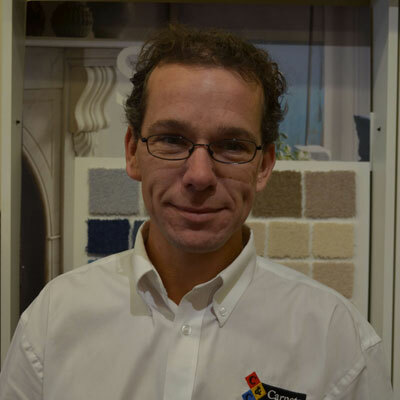 I have now been with the company over 7 years and fit carpets, vinyl’s, Luxury vinyl tiles, laminate & Wood floors. I have been with C & C for over 6 years although I have been friends with the family since a child. My apprenticeship has covered carpets vinyl’s and the prep work including the plywood covering and screeding of sub-floors. I am training on LVT floors as well as Laminate flooring to further expand my trade knowledge.